Here’s Mini getting into the Christmas spirit.Although this year I reckon she’ll be more into the shiny lights and glittery tinsel than the pressies! 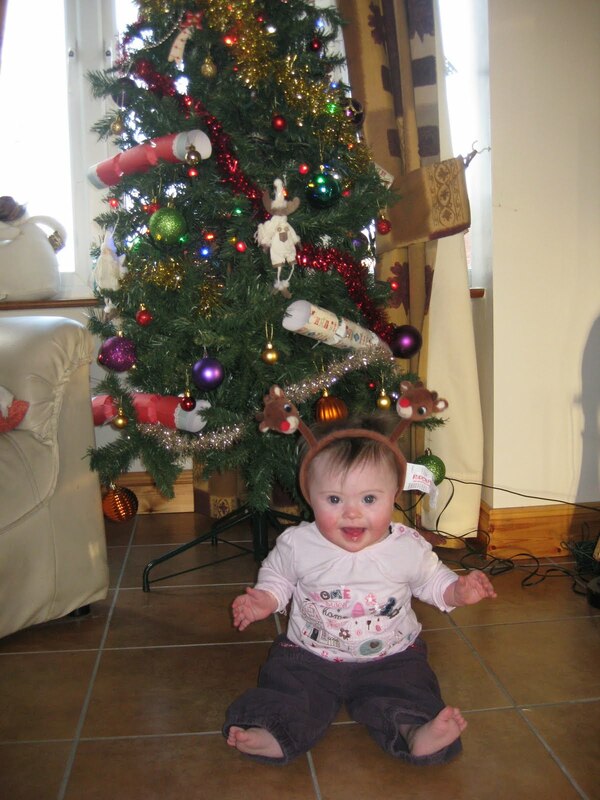 Roisin's first Christmas. I'm looking forward to spending Xmas with her!